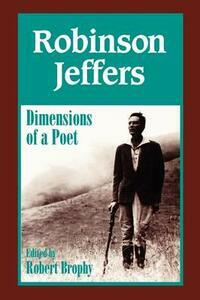 American Poet Robinson Jeffers (1887-1962) was educated in the classics from an early age and published his first book of poetry in 1912. Most of Jeffers' work is distinguished by strong elemental narratives set in the California Carmel/Big Sur area. His imagery often puts the rugged beauty of the landscape in opposition to the degraded and introverted condition of modern humanity. Jeffers' themes draw on classical and biblical sources from his early education, and his strong interest in Nietzsche's concept of individualism. Many of his contemporaries erroneously regarded him as a nihilist. This collection of essays attempts to illustrate the art and complexity of Jeffers, while presenting new insights into his work and its perception among his contemporaries. The essayists are Robert Brophy, Alex Vardamis, Robert Zaller, Terry Beers, Tim Hunt, David J. Rothman, Alan Soldofsky, Kirk Glaser, and William Everson. The essays represent a range of critical points of entry-some are on the cutting-edge of criticism and break new ground, others attempt to place Jeffers in the established perspectives of Western civilization's Christian humanism and American poetry's landscape-centered mysticism. The collection constitutes some of the most conversant and active research in the field of Jeffers studies. The critiques speak to the nature of Jeffer's poetry- how it challenged both the minds and hearts of its readers and prompted them to carefully define their own values and authentically find their own center.